Most who visit Rocky don't think to view it in its dazzling night sky finery, which never fails to stun. 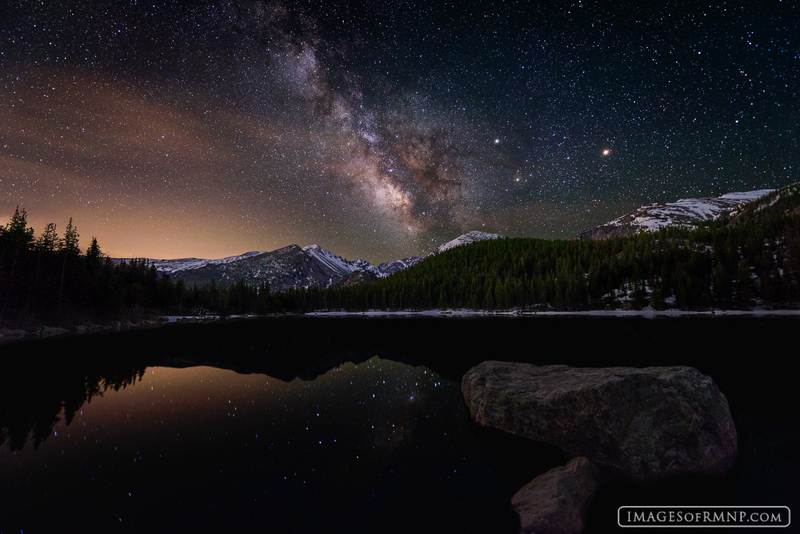 At about 4am on this June morning, the Milky Way could be seen stretching across the sky above Bear Lake. All was still as the world had not yet awoken, oblivious to the wonder happening just above them. Photo © copyright by Erik Stensland.